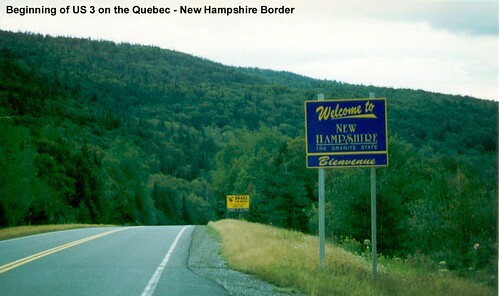 US 3 begins in New Hampshire at the Quebec border. Every time I've driven this lonely stretch of northernmost US 3 I've encountered at least one moose. 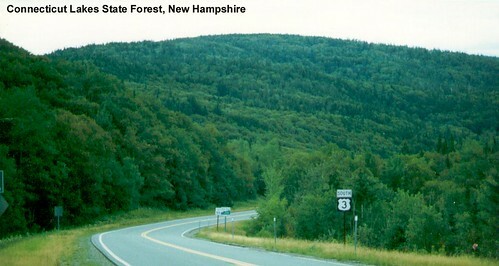 US 3 heads toward the Vermont border as it travels south through Coos County. 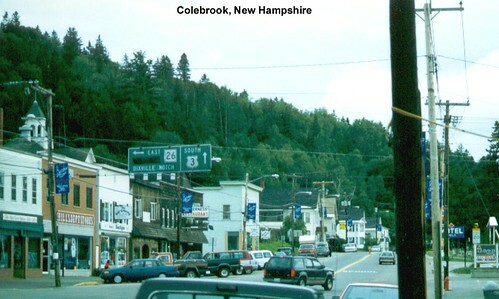 US 3 meets NH-26 in Colebrook. 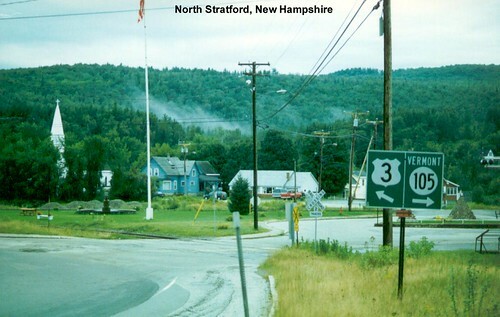 US 3 passes through North Stratford as it continues along the Vermont border. 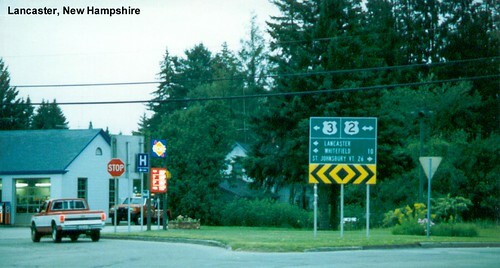 US 3 intersects with US 2 in Lancaster. 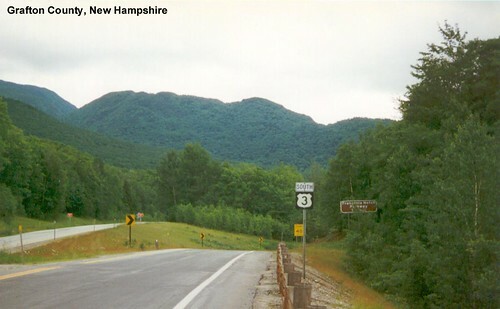 US 3 meets I-93 in Grafton County. 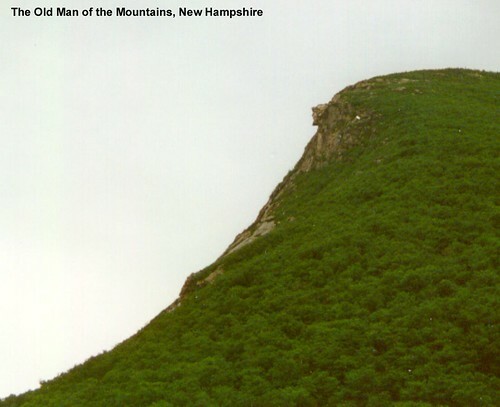 The Profile was still intact when I drove US 3 and took these pictures. 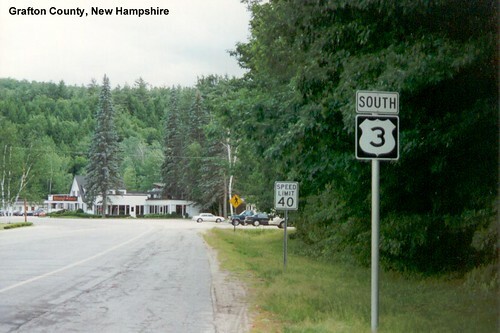 Heading south, US 3 splits from I-93 but remains nearby, and as a result serves mostly local traffic. 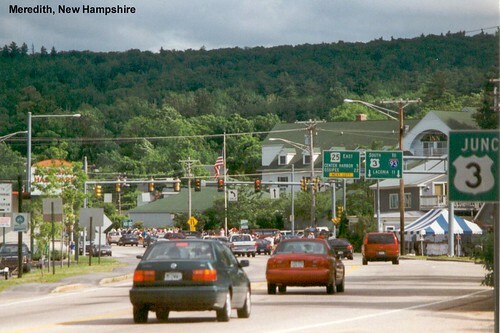 Traffic increases as US 3 passes through Meredith. 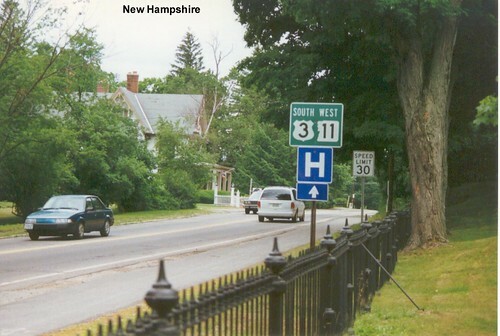 We see an old iron fence lining the road as we ride through Franklin. 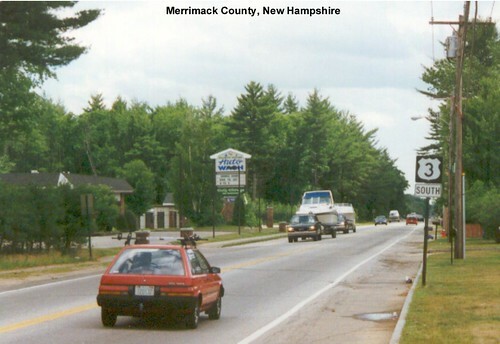 US 3 continues to parallel I-93 as it heads through Concord. 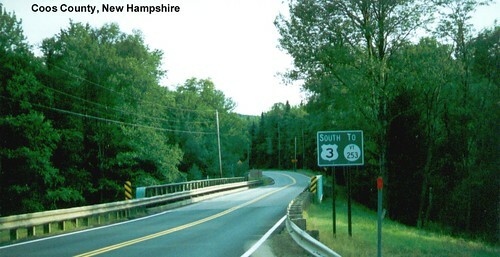 US 3 makes a hard right north of Nashua to head toward the Everett Turnpike.